A new, immersive 4D audio and visual theater experience at the California Great America amusement park is the first attraction worldwide to feature the Comhear MyBeam™ 360° spatial speaker array. Tech writers have declared 2016 the year that Virtual Reality (VR) technologies go mainstream. At the 2016 Consumer Electronics Show VR headsets supporting varying degrees of 3D immersion could be found on every row in all the halls of the convention center. The growth of 3D Virtual Reality visual effect systems has been rapid, but they consistently lack a critical ingredient which prevents consumers from reaching a deep level of virtual immersion. This critical missing ingredient is 360° spatial audio that accurately projects sound position in conjunction with the visual effects. Current technologies that produce 360° spatial sound effects are not commonly found in these 1st generation VR technologies. A new, immersive 4D audio and visual theater experience at the California Great America amusement park is the first attraction worldwide to feature the Comhear MyBeam™ 360° spatial speaker array. The importance of combining 360° spatial audio integration with 3D Virtual Reality visual effects is now being demonstrated at California’s Great America latest attraction: “Mass Effect: New Earth, A 4D Holographic Journey”. The attraction’s 360° spatial 3D audio system, combined with what is being billed as the largest high-resolution 3D screen in the world, completely immerses guests of the park in the popular “Mass Effect” video game developed by Electronic Arts franchise BioWare (3DLive and Halo are also collaborators). The experience features settings, characters, music and visuals familiar to players of the game and will take guests on an outer-space adventure, hurtling them through visually stunning landscapes to face off against larger-than-life adversaries and “save the day.” The attraction represents the first time the Comhear MyBeam™ 360° spatial speaker array is being used in a public venue. Working under the auspices of their start-up company, Crescendo Media Engineering, Peter Otto and Jeff Sandubrae, researchers at UCSD’s CalIT2 Qualcomm Institute, created the attraction’s audio design from a library of sound effects taken from the Mass Effect game, as well as custom-generated sounds. Unlike the restrictive limitations of VR headsets and personal entertainment systems, Mixed Field Sound Design (MFSD) audio is seamlessly integrated with story, picture, motion effects and multi-sensory production on a cinematic blockbuster scale by way of the theater’s 70-channel state-of-the-art theatre speaker system integrated with an advanced 540 speaker binaural auditory imaging system. The MyBeam™ spatial speaker arrays are located directly in front of the guests’ motion seats, with one array for every two guests. The system enables the arrays to project four beams of both far-field and near-field sound to “create sound objects that move around the room and also project some of these really intimate sounds right next to your ear,” Sandubrae says. Comhear believes in sound that moves you. Founded in 2013, Comhear is an audio technology company that brings people closer together through pristine communication, and enhances immersive entertainment with the physical sensation of sound you can practically touch. 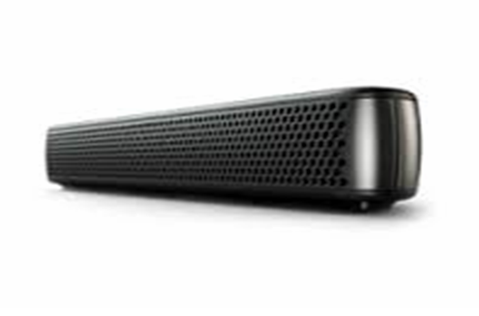 Consumer electronics speaker and headset OEMs, enterprise TEMs, kiosk systems manufacturers and integrators and Gaming/VR platforms benefit from Comhear’s revolutionary beam forming services, which add vocal clarity and customization to audio and conferencing systems. Comhear products are powered by our patented KAP™ software, which gives you wider, more natural soundscapes while protecting long term hearing acuity. This passion for healthy audio, combined with a deep understanding of how the brain processes sound, enables Comhear to develop products and solutions that adapt to your environment and transform the listening experience. California's Great America is owned and operated by Cedar Fair Entertainment Company, a publicly traded partnership that is listed for trading on The New York Stock Exchange under the symbol "FUN." In addition to California’s Great America, Cedar Fair owns and operates ten other amusement parks, three water parks, one indoor water park, and five hotels. Cedar Fair also operates the Gilroy Gardens Family Theme Park in California under a management contract. http://www.cagreatamerica.com Mass Effect and BioWare are trademarks of Electronic Arts Inc. or its subsidiaries.